Antioch short sale was just listed on the market by East Bay Short Sale Group on December 20th and went pending in just one day! This cozy two bedroom craftsman is a single story with dual pane windows, central heating, central air conditioning, hardwood floors and lots of potential. At 3,240 square feet, this lot has a large backyard and ample parking in the driveway. Home is conveniently located near schools, shopping, restaurants and Highway 4. 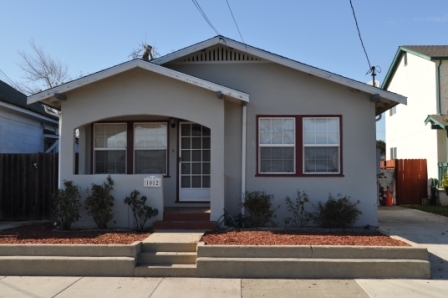 This Antioch short sale is perfect for the first time home buyer or investor! Antioch is in Contra Costa County, located in the East Bay region of the San Francisco Bay Area along the San Joaquin-Sacramento River Delta. Antioch is home to 31 parks covering a total of 310 acres with an additional 600 acres of city-owned open space. The city has a municipal marina, along with other private marinas, boatyards, and yacht clubs. There is a public fishing pier in town, and another out near the Antioch Bridge. It also has 11 miles of walking paths connecting communities to parks and schools. Antioch Public schools are run by the Antioch Unified School District, which consists of four high schools, four middle schools, and numerous elementary schools. All schools in the district follow a single track schedule, where school begins in late August or early September and concludes in June. If you are interested in previewing any of our properties please contact us at East Bay Short Sale Group to arrange for an appointment. If you already have an agent you are working with, ask them to arrange for a showing. Otherwise if you are a seller in Antioch or other areas of Contra Costa County and would like to learn more about how the short sale process works, please contact us for a free consultation and let us help you make your short sale a success! Thanks for taking the time to read about this Antioch short sale! Previous post: San Ramon Short Sale Closed! Next post: Dublin Short Sale Pending!